Jason Day can add to Australia’s record at Augusta National by winning next week’s US Masters. That’s the tip from our own former world No. 1 Greg Norman. And if his fellow Queenslander cannot win it next week, then Norman suggests it is only postponing the inevitable as Day will surely win it in the next couple of years. Day is already a winner this year, has also previously shown that Augusta National suits his game and the Great White Shark says Day is ready to fire. “There’s no question about it….I love the way he refocused himself and rededicated himself to the game of golf,” Norman said. Still Norman warned there was plenty of depth in the field and Day’s task was anything but easy. “There are a lot of other great players out there too,” Norman said. Day has been in the cauldron before: He held the lead several times before finishing second in 2010 and also finished third behind Adam Scott in 2013. 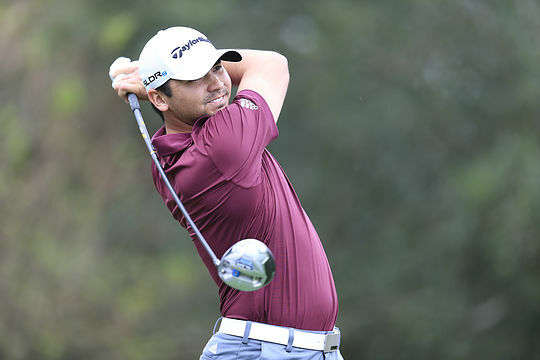 The Queenslander is currently ranked fourth in the world, a spot above Scott, and he pocketed his seventh career tournament win last month with a playoff victory in the Farmers Insurance Open on the US PGA tour. “I am not around him on a regular basis, so I don’t know what he is working on but I have seen and read some of the really positive comments he has made about himself and where he wants to go and how he wants to get there,” said the Shark.